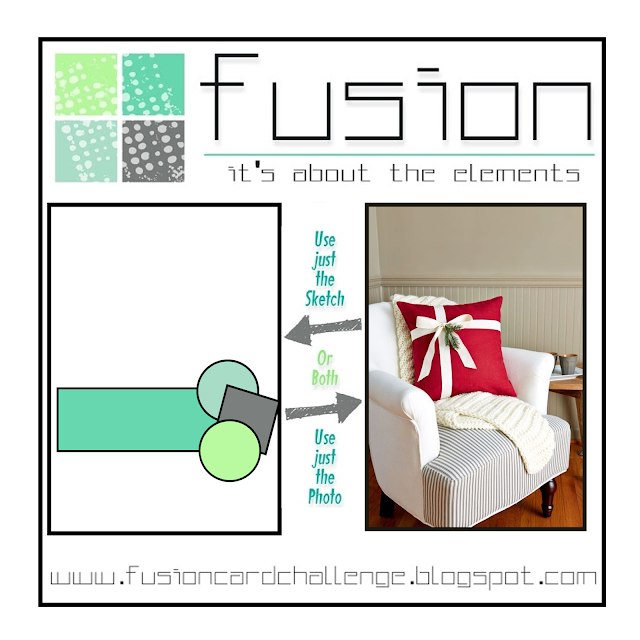 Hello, I have a CAS card for you today that goes along with the Challenge over at Fusion. I was inspired by the fun sketch and the bold red pillow and the simplicity of the photo. This cute little stamp set is from my local Stamping store. I couldn’t get the photo of the card to cooperate, so those little dots you see are sparkly silver paper. I used Colored pencil as my medium. The stitched rectangles and paper are from SU. 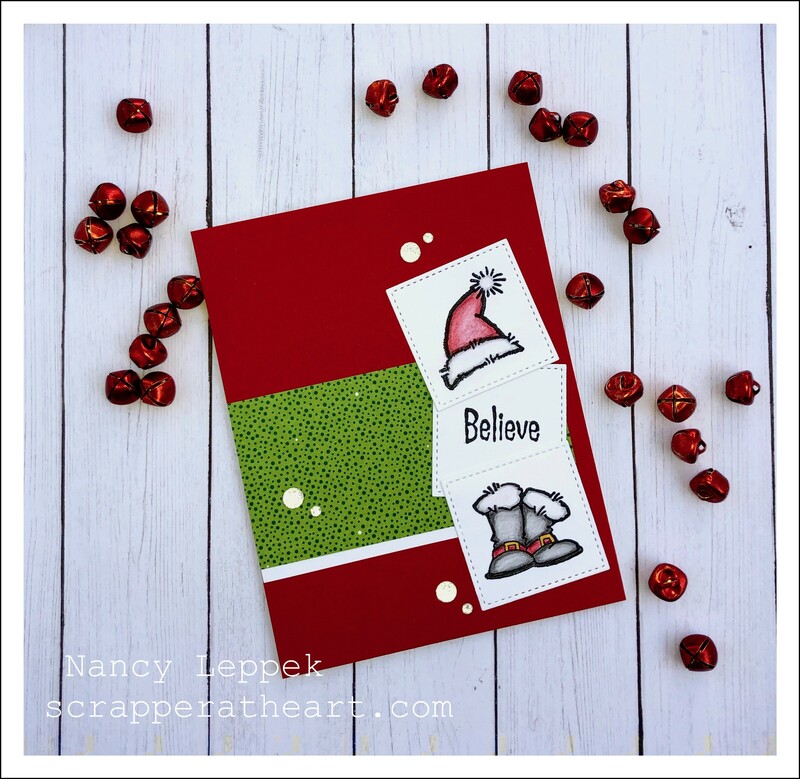 Categories: Cards | Tags: Card making, Cards, Christmas cards, colored pencils, rubber stamps, stamping, Stamping Up | Permalink. Such a cute design. I love the wonky layers too. They look great against the colorful background. This is adorable, Nancy! I love the stitched squares and your placement of the enamel dots, but mostly it’s just so cute! Love your cute card. Great job with the sketch. This is super-cute, Nancy! That hat and boots are so adorable and are a wonderful way to use the sketch. Thanks so much for joining us at Fusion. I got a secret message with this card. You stamped the hat and the boots, the rest you just have to believe in. Fabulous! This is so cute and a great way to use the sketch, Nancy.